Yesterday, Fill The Steins broke the news that New Mexico State’s top assistant, Paul Weir, has expressed interest in the vacant UMaine men’s basketball coaching position. Well, it appears Weir isn’t the only “hot” D1 assistant who’s interested in taking over the reigns on the Cross Center sidelines. Late last night, a source close to the UMaine athletic department informed Fill The Steins that former Maine Central Institute standout player and assistant coach Mark Bass has applied for Ted Woodward’s former post. Bass is an interesting applicant who could possibly appease all circles within the UMaine community. He has significant basketball ties to the state of Maine but would still have to be considered an outsider to Black Bear athletics. 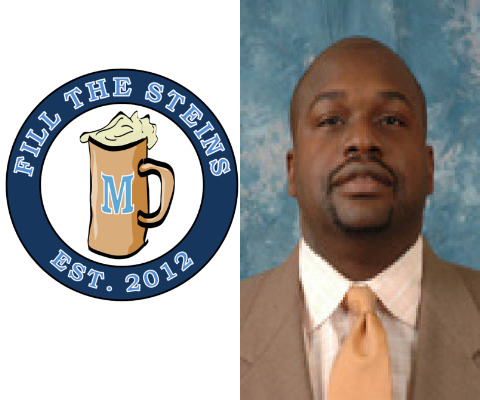 When Fill The Steins contacted the University of Maine athletic department for comment, Assistant Manager for Athletic Public Relations Christopher Hill declined the opportunity to confirm our report. Bass is currently the longest-tenured assistant on Phil Martelli’s staff at reigning Atlantic-10 champion St. Joseph’s in Philadelphia, where he has worked for the last 14 seasons. Bass’s stock rose recently on the heels of the Hawks’ strong performance in the NCAA tournament against eventual national champion UConn. It has been widely reported that Bass was responsible for scouting UConn and installing the defense that pushed the Huskies to overtime in their second round clash. As a player at MCI, Bass led the team to a 27-1 record in his lone season in Pittsfield. While on staff under Max Good at MCI, the school won back-to-back New England Prep School Championships and finished the 1997-98 season with a perfect 35-0 record. Our source has also learned that Good, Bass’s coach at MCI and the former head coach at both UNLV and Loyola Marymount at the D1 level, has been in contact by phone with multiple individuals within Maine’s athletic department to put in the good word (see what we did there?) for his protégé, Bass. Good, who is a bona fide legend at MCI, certainly has an opinion and a perspective that carry clout within Maine basketball circles. Fill The Steins will continue to monitor to the men’s basketball coaching search closely and provide updates as warranted. In the meantime, don’t miss our very own Adam Henckler when he joins Downtown with Rich Kimball on 92.9FM “The Ticket” in Bangor today at 4:15pm to discuss the latest developments in Karlton Creech’s search to replace Ted Woodward. What do you think about Mark Bass as a possible candidate to replace Ted Woodward? Leave your comments below and join the conversation on Twitter using #FillTheSteins!